1. ZVT / CTEET Environmental Education Project. 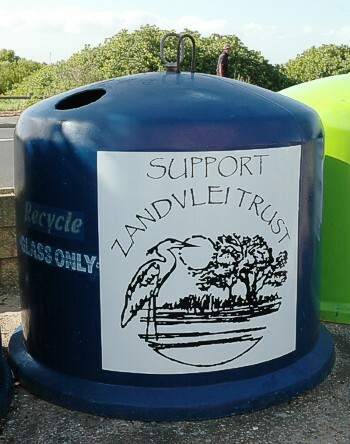 A working partnership with the The Zandvlei Trust and CTEET funded by the LOTTO. the play by the Jungle Theatre Company. 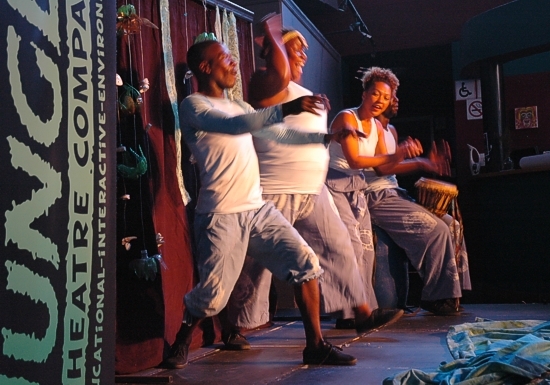 The cast in the play of River of Life a Jungle Theatre Company production. 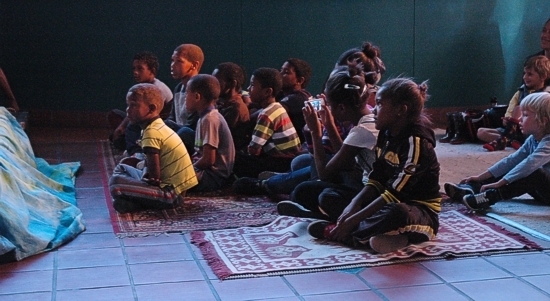 Some of the children at the Masque Theatre, Muizenberg in the March school holidays. Eco-Club / EE transport and resources. Note - the project will be updated as the information becomes available. ZVT sponsored the transport costs for these children from Village Heights Community Centre to visit the Zandvlei Nature Reserve for a lesson and outing on environmental education. by Julie Dunkerley in August 2013. 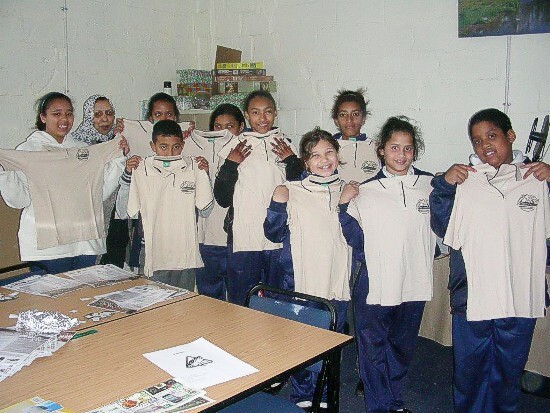 Steenberg Primary School children receiving ZVT Tshirts donated by Julie Dunkerley in September 2013. Mark Arendse and Glenda Samuels (teacher) in the back row. 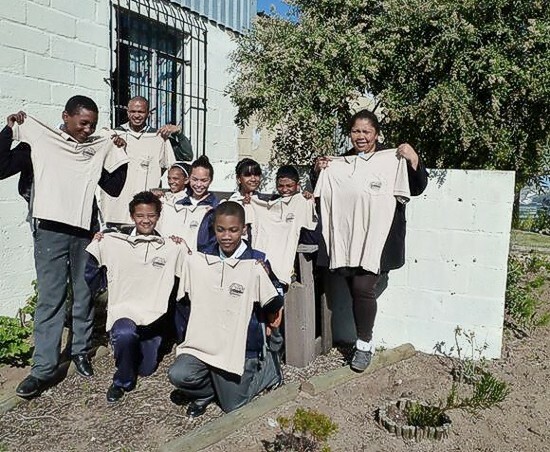 Steenberg Primary School EE Club with sponsored T shirts. See the poems written by Glenda Samuels class for Princessvlei. Steenberg Primary School (transport sponsored by ZVT). 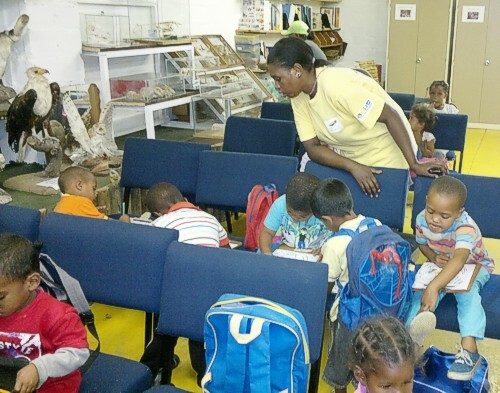 Levana Primary School (transport sponsored by Zandvlei Trust) to enable them to get to the Zandvlei Nature Reserve EEC for after school lessons. Capricorn Library holiday hiking club outing. Thank you email from Levarna Primary School ( sponsored by ZVT). Thank you cards from Zerilda Primary School (sponsored by ZVT). 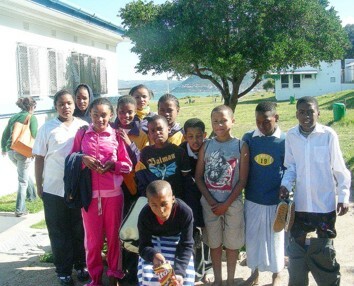 Capricorn Library boys and girls visit Muizenberg mountain. (sponsored by ZVT and the City). See the thank you note from Glenda Samuels. See the outing in October 2010 and the thank you letters. photograph by Sharon McCallum. photograph by Sharon McCallum. Zerilda Primary School outing to to Zandvlei Nature Reserve and to St James beach with Zandvlei Trust sponsoring the transport and the service of Neville Williams. See some of the fun they had on their visits. 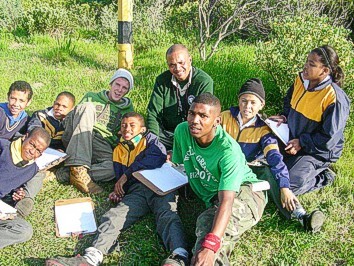 Their aim is to educate and encourage local school children to become interested in the Zandvlei environment. This is an important and rewarding project for anyone with experience working with children, and who would like to contribute in any way, may contact Sharon McCallum. We please need more volunteers. Sharon McCallum 021 788 8592. 1a. See what they did at the Nature Circles outings. 1b. A Zandvlei catchment poster by Carol Howes Download, print and colour in. 1c. Donations to the EEC. 3. ZIMP (Zandvlei Inventory and Monitoring Programme). At an Exectutive Committee Meeting, Timm Hoffman proposed the establishment of the Zandvlei Inventory and Monitoring Programme as a task team. As you can see from the agenda there are numerous catagories needing input from local residents or interested people. You have chosen to live in this area, so please join in and contribute by participating. The new colour layout by Katerina Sonntagova / sustainability-focused design. See the Newsletter in pdf. The Editor oversees the general planning of the deadlines for each of the issues of the Newsletter. This comprises setting the themes, the sourcing and collection of the articles and pictures for the deadline. The Editor interfaces with the DTP, repo and printer. Sources the sponsorship, advertising and funding for the newsletter production as well. The Exco reviews, proof reads and then sees to the distribution of the Newsletters, to all the members, advertisers, schools, libraries, businesses, municipal offices and other officials, also environmental bodies and interested parties. 5. 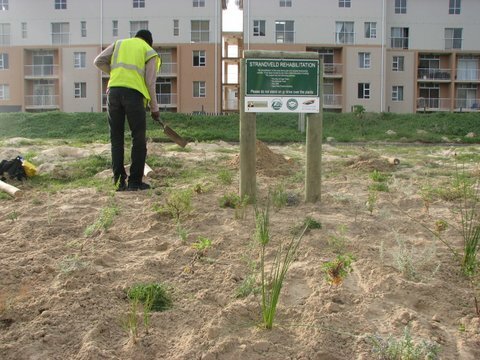 Rehabilitation - invasive vegetation clearing. We need more volunteers for this team. Katrien and Brigitte working in the Old Boyes Drive section of the Reserve. 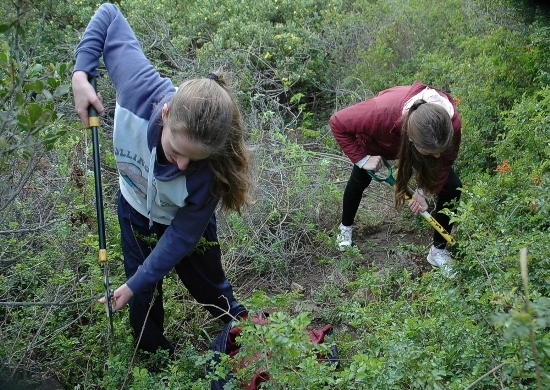 This group of regular volunteer members remove exotic invasive vegetation eg. Port Jackson, Rooikrans, Black Wattle, Longleaf Acacia, Manitoka, Brazilian Pepper seedlings, saplings and trees, from the Greater Zandvlei Estuary Nature Reserve areas. The dedicated few have done so for the past 25 years and more, every month on a Saturday afternoon. You are welcome to come and help, we only require 2 hours of your time and effort, once a month. Gavin Lawson 021 705 5224. Read more about what we do. updated 14/08/2016. 6. Westlake Wetlands Walkway Garden. 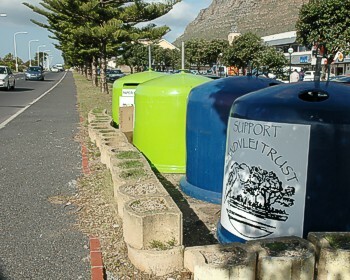 A working partnership with the City of Cape Town, local business and Zandvlei Trust. 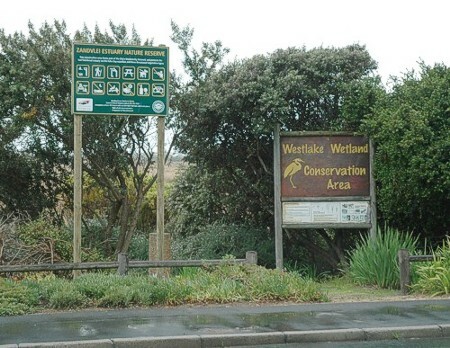 New Zandvlei Estuary Reserve sign erected in July 2012. Peter Kruger 021 788 4578. 7. 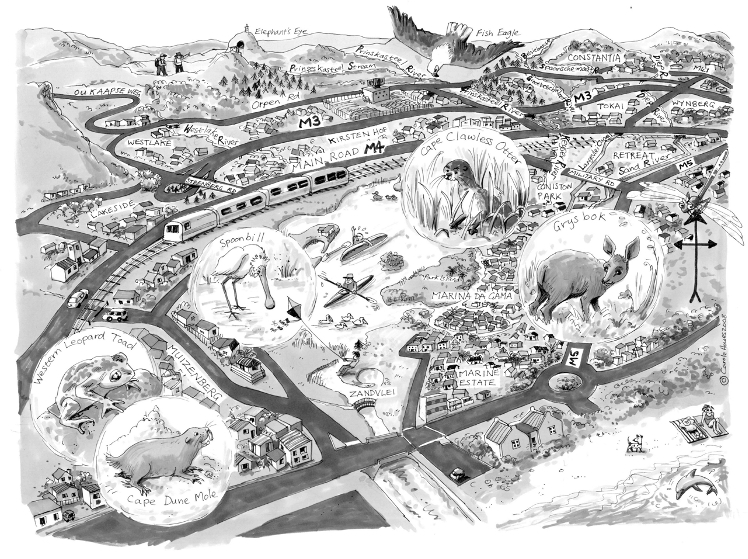 BOSSIES - (Biodiversity On Suburban Sidewalks [for] Indigenous Ecosystem Sanctuaries). We urge all communities to adopt this concept and introduce it in your area. A planted node in the centre island of Prince George Drive. See some updates of Box and Ermington Roads. The Cape Flats Fynbos Nursery. Sales outlet is at Rondevlei Nature Reserve - No 1 Fishermans Walk cor Perth Road, Grassy Park. Contact Neil on 076 473 7095 for all your Strandveld and Sand Plain Fynbos plant requirements. 8. Westlake Wetlands (Rutter Road). The reused and recycled plastic bottles made into a boom to hold back the hyacinth out of the main water bodies. They review, research and report on the conditions and problems encountered with the Wetlands.This volunteer group of residents, monitor and liase with the local authority on the condition of the Rutter Road Pond. They clear exotic plants and repair and maintain the booms / traps across the open water bodies at the confluence of the Keysers and Westlake Rivers before entering the main Zandvlei water body. Celebrating the Westlake Wetlands March 2016. Celebrating World Wetlands Day Feb 2016. A work party in Nov 2009. A work party in July 2009. A work party in 2005. A work party in 2002. Background and some history from 2002. 9. EIA's (Environmental Impact Assessments) and local Development Forums. They monitor and assess developments, attend meetings and review and write reports. Sharon McCallum, Gavin Lawson, John Fowkes. Sand River Catchment Forum, Zandvlei Estuary Management Forum, False Bay Ecology Park Steering Committee, Western Cape Wetland Forum and others. 10. Paper and Glass Recycling. Eastlake Shopping Centre, Marina da Gama. new 25/08/2016. Please support ZVT by placing paper only in the igloo located at Eastlake, Marina da Gama. Lakeside Shopping Centre, Main Road, Lakeside. The igloos with the new labels in June 2013. 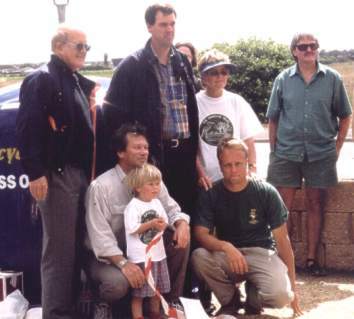 Geoff Bailey and his youngest son, Una Hartley, Clifford Dorse and Gavin Lawson. Manages the Zandvlei Trust paper and glass recycling igloos on the Main Road, Lakeside (opposite the Lakeside Shopping Centre). The income derived from these "igloos" helps pay for this website hosting and the garden on the opposite side of Main Road which is part of the Zandvlei Nature Reserve. Please support the recycling industry. The database has grown since it was started in 2001. It is a very important activity to make sure our members and interested parties receive our Newsletters and other correspondence. It is our way to network and communicate with City officals and other environmental groups and NGO's. It is a dedicated task that requires attention to detail, communication with the Exco and regular cross checking and updating. He researches, writes articles, takes photographs, compiles articles produces and publishes the web page. The web page was started in May 2001.